The local construction industry, as well as the involved government’s various agencies on both local and national levels, are confronting a barrage of challenges resulting from the explosion of infrastructure projects under the current administration’s P8.4-trillion Build Build Build (BBB) program. This should be expected, given the size of investments that is pouring into the construction sector and the number of projects that has been put through the mill starting in 2016 on the President first year of office, and which will be fast-tracked for completion before his term ends in 2022. No other Philippine president has been this frenzied over infrastructure building, and while the slow pace of work during the first year could be regarded as a period where everyone was “learning the ropes,” things should be taking shape nowadays for everyone to get really busy. Problems, however, have started to show up that should be given more attention lest these small concerns escalate to levels that could cause many projects to fail, or even worse, to bring the whole BBB initiative to monumental failure. For the flagship BBB projects, a lot of attention now is on China’s preference to using its nationals as workers and contractors for its signed undertakings funded by its overseas development assistance (ODA) mechanism. While the news about the influx of way too many “imported” Chinese workers assigned to the Chinese-funded projects may be seen as irregular, it is not entirely illegal, especially if these expatriate Chinese workers had been given work permits by our own Department of Foreign Affairs. There could be valid reasons why the DFA would now be more open to stamping working visas on Chinese workers’ passports, even those below management levels, for BBB projects given the unfolding problems involving the local construction industry. To date, with BBB and under the Department of Public Works and Highways (DPWH), more than 50,000 projects have already been bid out in the last 30 months. This number dwarfs by double percentages what the previous administrations’ had accomplished in their full terms, even under the extended Arroyo years. While this is something to celebrate, given the importance of building more roads, bridges, ports and other infrastructure projects to sustain the country’s economic growth momentum, a number of critical issues involving local contracts have also emerged. The Philippine Center for Investigative Journalism (PCIJ) has, based on its incisive researches, raised issues that have spawned a growing number of infrastructure projects that are struggling to keep up with completion deadlines. It has raised concerns about contracting failures heavily tinged with corruption, politics, mismanagement, and neglect by concerned government agencies, including the DWPH and their local counterparts, in collusion with “favored” contractors. While aware of the PCIJ findings as well as the latest report of the Commission on Audits (COA) about delays plaguing many infrastructure projects, DPWH Secretary Mark Villar has voiced optimism about correcting the problems, if not the published reports. Amidst clarifications issued in response to some glaring parts of the PCIJ and COA reports, Villar enumerated new initiatives that would curb serious issues like delays in project completion, poor disbursement of allotted budgets, delayed resolution of right of way problems, and underperforming DPWH personnel. Unfortunately, these do not tackle the corruption issues that stakeholders from the private sector only whisper about. Under-the-table deals, overstatement of project costs, bid riggings, collusion with local government politicians, unqualified contractors, and many more. Before it’s too late, the DPWH should find better ways of mitigating these perennial problems. If such issues had been “manageable” in previous administrations, given the multiplicity spawned by the expanded BBB budget today, such magnified corruption could bring the whole house down. 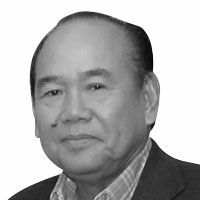 Just as former DPWH secretary Rogelio Singson during the term of then president Benigno Aquino III had come up with reforms to make the bidding system for national projects more transparent and less vulnerable to corruption, so can Villar do so. But it’s going to be an uphill climb for Villar, who is known to be too careful about not stepping on the toes of politicians, especially those allied with the current administration. The other concern that bears attention and action would be the threat of substandard construction materials such as cement and steel products that unscrupulous contractors may use with the end goal of cutting costs. Even before BBB, construction contractors were known to have succumbed to the temptation of using substandard construction materials, many of which are imported, that are in violation of guidelines set by the Department of Trade and Industry (DTI). “Expired” cement and undersized steel bars used for bridges and roads will ultimately expose construction projects to risks of caving in or collapsing, and even imperil lives of people. We’ve seen too many roads that simply pulverize after a few years of use. The DTI, more so the DPWH, should be more diligent in ensuring that products sold in the market are always within acceptable standards. With BBB, the DPWH needs to strengthen its monitoring system incorporating more qualified people who can flag down not just delays, but also sloppy work. The next few years leading to 2022, when the current President is expected to end his term, will see even more construction activities. The Filipino people, not just the President, deserve to see a good – if not a well-done – job in all these projects. We are actively using two social networking websites to reach out more often and even interact with and engage our readers, friends and colleagues in the various areas of interest that I tackle in my column. Please like us on www.facebook.com/ReyGamboa and follow us on www.twitter.com/ReyGamboa.